Nike is set to release a set of meaningful sneakers as part of their ‘Champions Think 16’ collection. 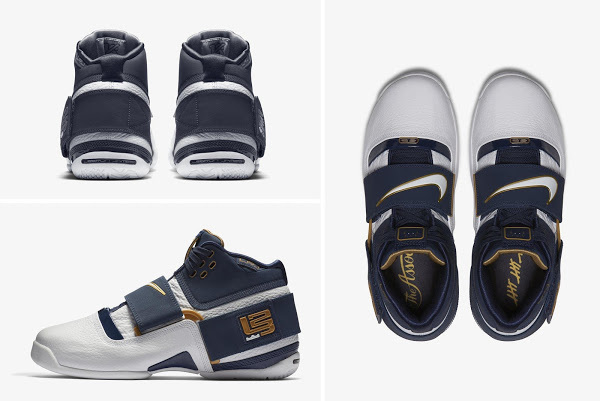 The pack celebrates basketball champions with special edition retro models. 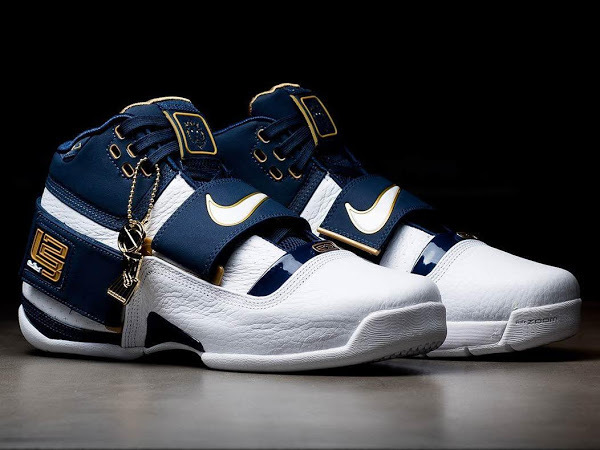 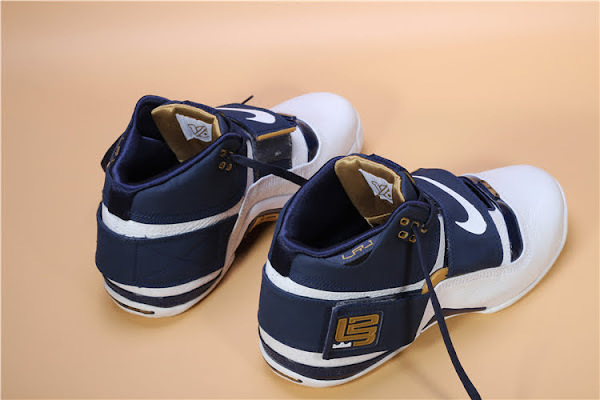 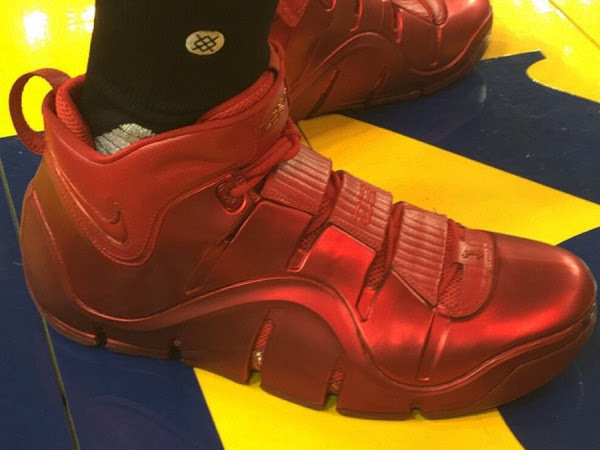 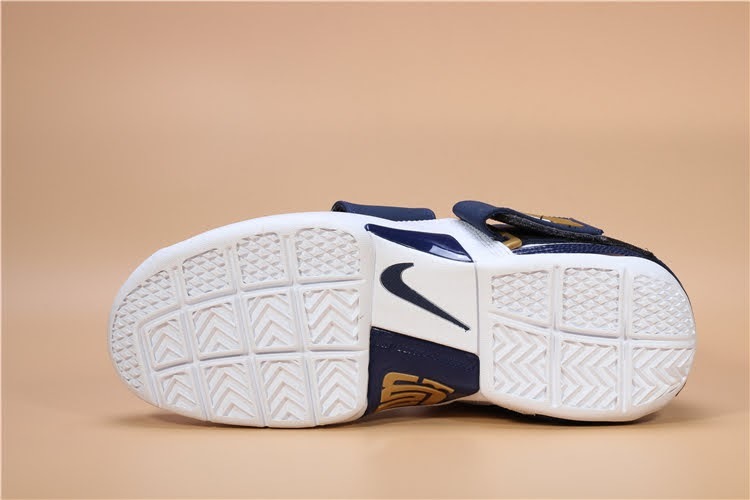 It includes as many as 15 different releases and includes one shoe for The King… the Nike Zoom Soldier I.
LeBron James debuted this Nike Zoom Soldier during the 2007 NBA Playoffs when he took the underdog Cleveland Cavaliers team to the NBA Finals. 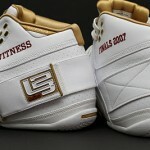 The most memorable moment came when he exploded for 25 straight points to defeated the Detroit Pistons in Game 5 of the Easter Conference Finals. 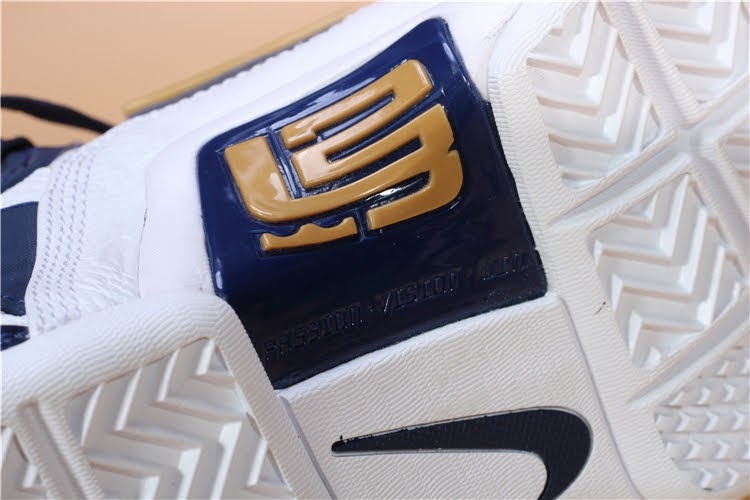 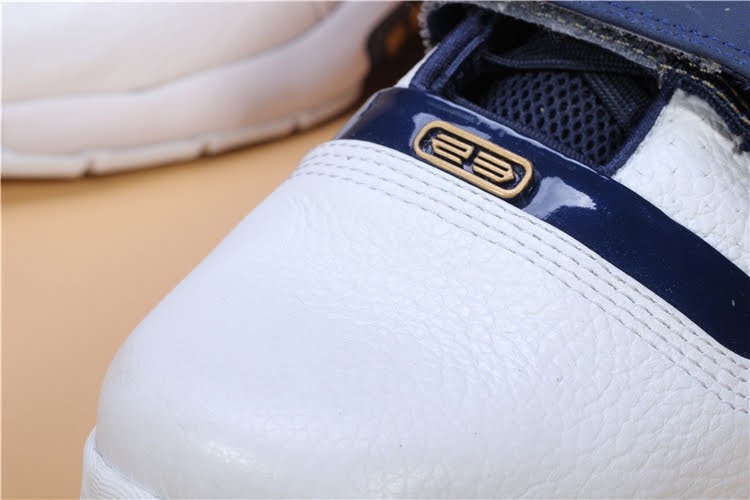 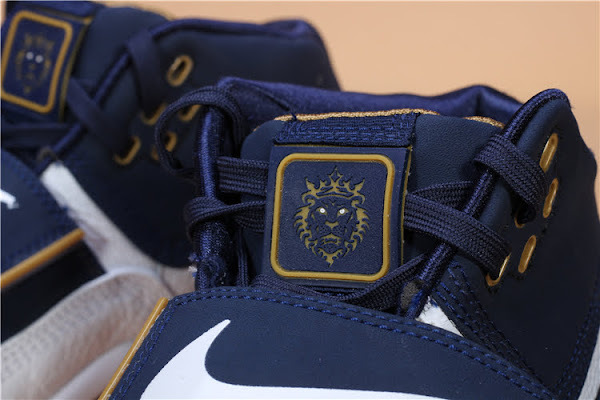 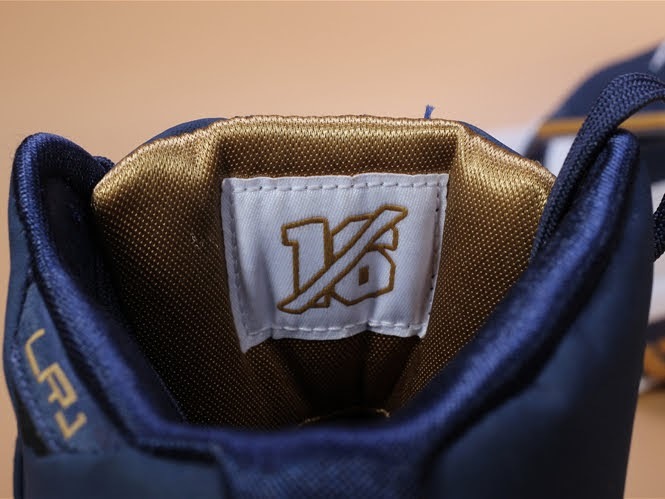 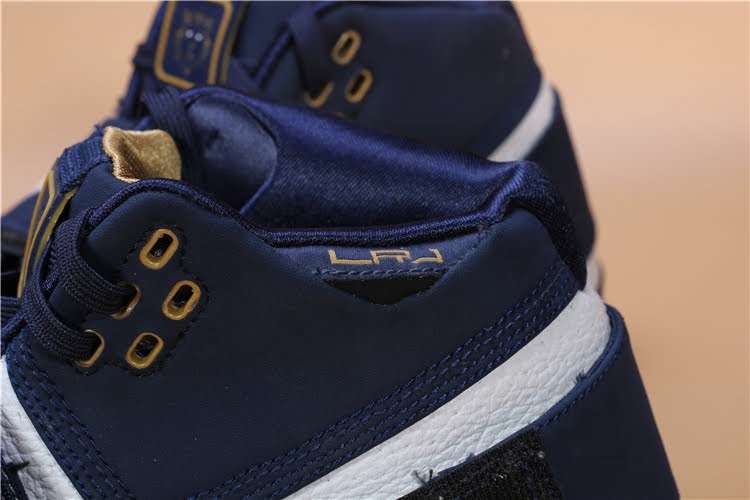 The White, Navy and Gold edition has been enriched with additional details on the insoles and behind the tongue to commemorate that special achievment. 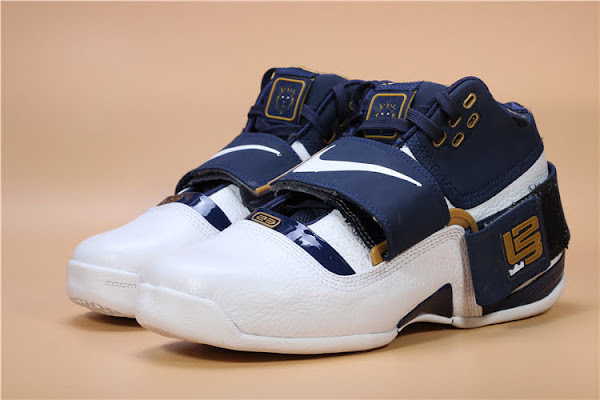 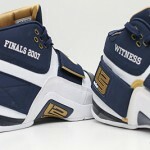 The Nike Zoom LeBron Soldier “25 Straight” is set to release on May 31st at select Nike Basketball retailers. 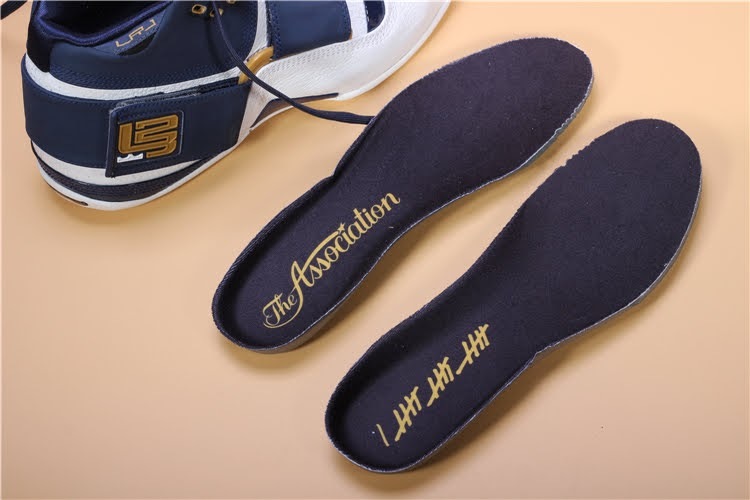 The shoe is not expected to be widely available.